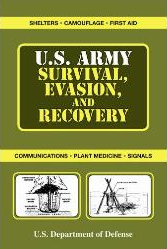 With detailed photographs and illustrations and an extensive set of appendices, U.S. Army Survival Manual is your ultimate guide to survival in all conditions and environs. Colonel Peter T. Underwood, U.S. Marine Corps (Ret), holds a BA from the Virginia Military Institute, an MA in history from Duke University, an MA in national security and strategic studies from the Naval War College, and is also a graduate of the Air Command and Staff College and the Armed Forces Staff College. His career has included multiple assignments in the Far East and Europe, and he is a veteran of Operations Desert Shield/Desert Storm, Desert Fox, and Southern Watch. His staff assignments have been at the battalion, regimental, air group, division, component command, and unified command levels. He commanded MEU Service Support Group-31, 31st MEU, and Multi-Commodity Maintenance Center, Albany, Georgia. He has also served as a history instructor at the U.S. Naval Academy and as Professor of Strategy at the U.S. Naval War College. He currently works as an independent consultant and lives in Norfolk, Virginia.